Monika is a buyer for a renowned supermarket chain in Germany and responsible for sourcing Italian food products to be sold on the supermarket’s Delicatessen Counter and for the store’s top quality niche product selection. Monika contacted Yummy Italy not only to better understand the production methods for the most famous PDO and PGI products in the region, but in particular to benchmark the most famous products and have a point of reference for excellence when selecting products for the supermarket. She preferred to have independent experience of the products, rather than tasting only those few proposed by larger importers or producers. Yummy Italy selected several food producers, from the tiniest, most artisan and organic to the larger, more ‘industrial’ producers (where relevant), where Monika learnt about the various production methods, the philosophy of the producers and why the same final product varied so much from producer to producer. We visited several Parmigiano Reggiano PDO producers, from those in the plains of Parma making a large number of wheels a day, to those tiny artisan and mostly organic producers in the hills of Bologna, Modena, Parma and Reggio Emilia, making only up to 10 wheels a day, with the milk of the Modena White Cow, the Red Cow from Reggio Emilia, the Brown Cow from Parma. She learnt how to carry out a full sensorial analysis of the various cheeses in order to be able to facilitate the choice of products she sells. 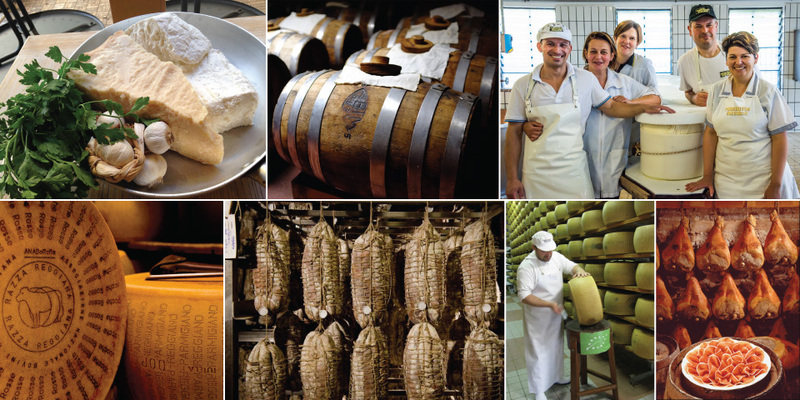 We also organised various visits to producers of Mortadella PGI – again, from the industrial to the artisan producer, Prosciutto Crudo di Parma PDO and Prosciutto Crudo di Modena PDO, Culatello di Zibello PDO, Pancetta Piacentina PDO and Aceto Balsamico Tradizionale di Modena. Monika also carried out an in-depth tasting course, learning about the various characteristics of the different types of Balsamic Vinegar and benchmarking the different years of maturation in order to be able to offer a selection of the finest quality vinegars for the supermarket. Monika said “There were so many different qualities of the same product of which I was very unaware, and at first I was quite overwhelmed. However, I am now able to confidently make the right choices for our target consumer groups and make the necessary differentiations between the products. What I learnt was fundamental, not only for when we market the products, but also when we carry out in-store tastings. I feel knowledgable enough to educate our staff and promoters, providing them with the right information, so that they can communicate effectively and correctly with our customers and sell these truly unique products with the respect they deserve”.